4308. 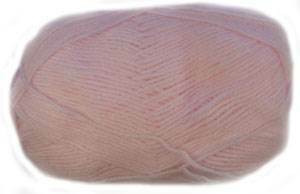 Patons Fairytale 4 ply knitting yarn in palest pink. 28st/ 36 rows to 10cm, 3.25mm needles. Machine washable supersoft blend of 55% nylon, 45% acrylic. 50g.